FLAGSTAFF, Ariz. (AP) - Attorneys for a wrong-way driver say an Arizona Department of Public Safety sergeant is responsible for a crash that injured the driver and the sergeant. Patricia Carvalho is facing charges of attempted homicide, aggravated DUI and endangerment. 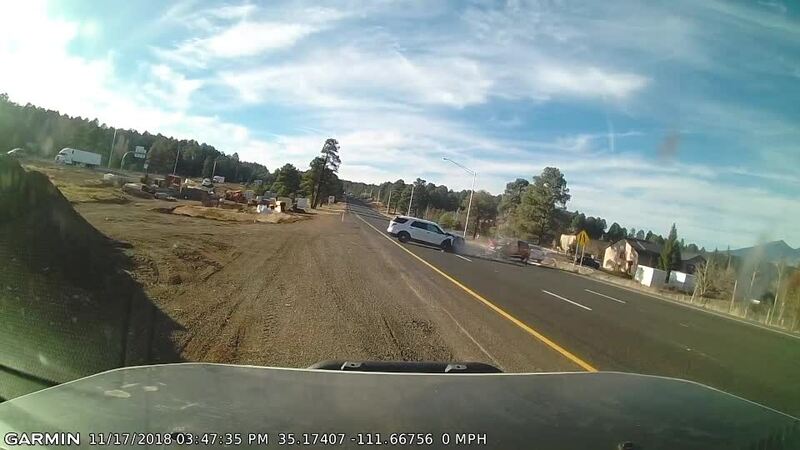 The Los Ranchos, New Mexico, woman was driving the wrong way on Interstate 40 in Flagstaff last month. Sgt. Paul Damgaard used his vehicle as a traffic break, swerving a few times before stopping. The two vehicles hit head-on. Authorities say both Damgaard and Carvalho were injured. Carvalho's 2-year-old daughter wasn't. DPS says Damgaard likely saved the lives of other drivers. Carvalho's attorneys blame DPS for the crash and say the sergeant put Carvalho's child in danger. Damgaard had planned to speak to reporters Friday about his actions but DPS canceled the interviews without explanation.